Harmony in Western music is based on triads. Triads are simple three-note chords built of thirds. The chords in the figure are written in root position, which is the most basic way to write a triad. In root position, the root, which is the note that names the chord, is the lowest note. The third of the chord is written a third higher than the root, and the fifth of the chord is written a fifth higher than the root (which is also a third higher than the third of the chord). So the simplest way to write a triad is as a stack of thirds, in root position. Note: The type of interval or chord – major, minor, diminished, etc., is not important when you are determining the position of the chord. To simplify things, all notes in the examples and exercises below are natural, but it would not change their position at all if some notes were sharp or flat. It would, however, change the name of the triad – see Naming Triads. Any other chord that has the same-named notes as a root position chord is considered to be essentially the same chord in a different position. 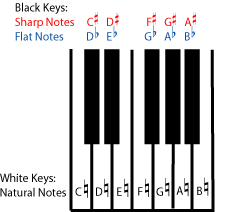 In other words, all chords that have only D naturals, F sharps, and A naturals, are considered D major chords. 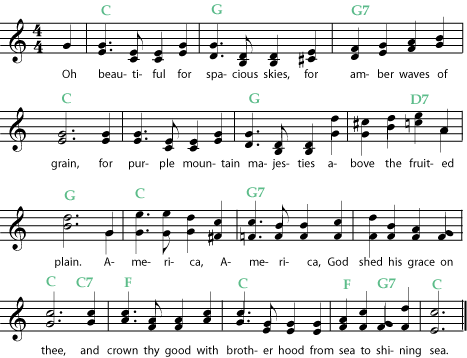 Note: But if you change the pitch or spelling of any note in the triad, you have changed the chord (see Naming Triads). For example, if the F sharps are written as G flats, or if the A’s are sharp instead of natural, you have a different chord, not an inversion of the same chord. If you add notes, you have also changed the name of the chord (see Beyond Triads). 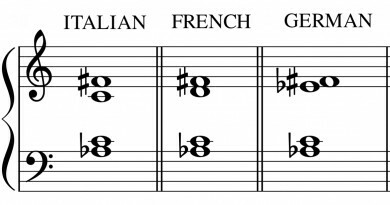 You cannot call one chord the inversion of another if either one of them has a note that does not share a name (for example “F sharp” or “B natural”) with a note in the other chord. If the third of the chord is the lowest note, the chord is in first inversion. If the fifth of the chord is the lowest note, the chord is in second inversion. A chord in second inversion may also be called a six-four chord, because the intervals in it are a sixth and a fourth. It does not matter how far the higher notes are from the lowest note, or how many of each note there are (at different octaves or on different instruments); all that matters is which note is lowest. (In fact, one of the notes may not even be written, only implied by the context of the chord in a piece of music. A practiced ear will tell you what the missing note is; we won’t worry about that here.) To decide what position a chord is in, move the notes to make a stack of thirds and identify the root.